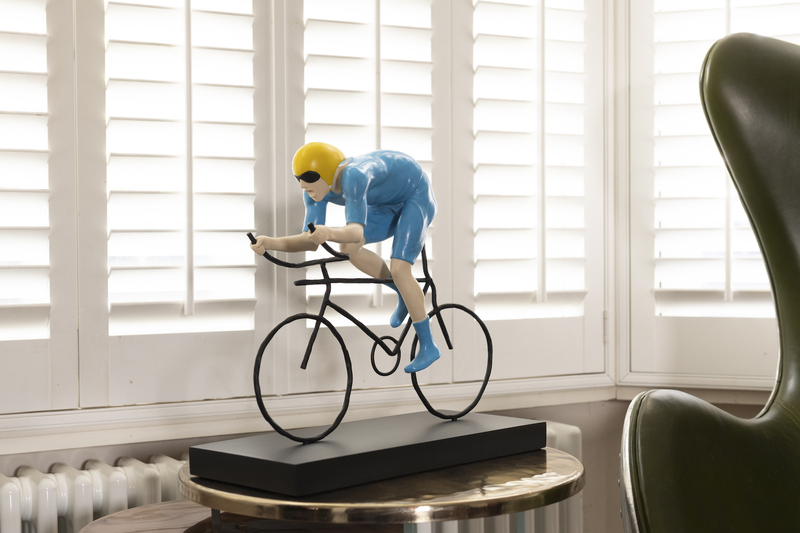 Mackenzie Thorpe, has revealed the first-ever sculpture to be part of the official artworks for the Tour de Yorkshire, titled The Fastest. The Middlesbrough-born artist said he was inspired by the speed and exhilaration of racing. 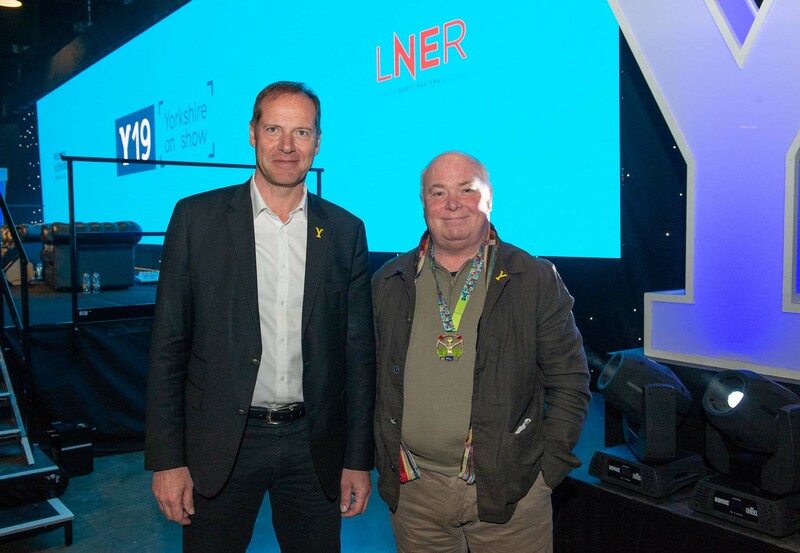 The sculpture and accompanying print in the striking Tour de Yorkshire colours of blue and yellow, was unveiled at Welcome to Yorkshire’s Y19 conference to an excited audience. Alongside The Fastest Mackenzie unveiled two celebratory posters Riders on the Storm and Round the Bend completing the official collection, which was launched at his Richmond gallery in February. “When I was creating the official collection I wanted to make something for everyone, generate excitement and really exceed expectations. The sculpture is something very different to what’s been done for the race in the past and I think ‘The Fastest’ will resonate with all those passionate cycling fans, while the posters will allow fans from all walks of life to tap into the action of the race and commemorate this fantastic event for years to come. Mackenzie’s artworks are at the heart of the fifth edition of the Tour de Yorkshire – which takes place between 2-5 May. Not only has he created a diverse collection of official works but he has also designed the medal which will be presented to 4,500 participants in the Yorkshire Ride on the final day of the race. You can see Mackenzie sporting the medal when he met Tour de France race director Christian Prudhomme.